Reed Hastings noted that Netflix had three price tiers in India: 500 rupees for a basic plan, 650 for a standard plan and 800 rupees for premium. Reed Hastings said he had been "misunderstood"
Netflix scored a big hit in India with the release of "Sacred Games"
But in India, Hastings said, "we see the typical mix across these three plans that we see in many other countries like the U.S., which would indicate that we don't have a pricing issue. Because if it was, everyone would be on the lower price plan." Netflix launched in India two years ago and has won fans among a young, tech-savvy middle class in a country where video consumption of all kinds is soaring. 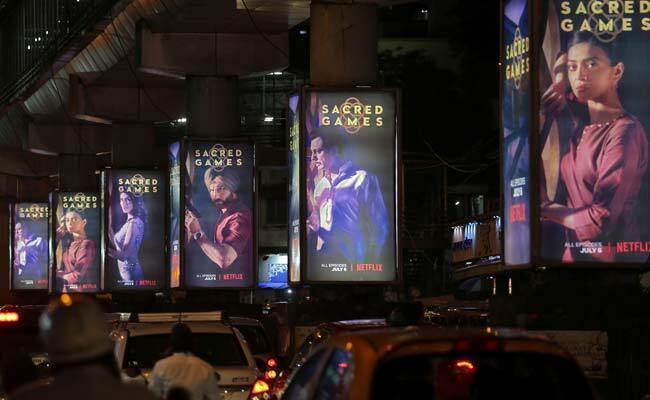 It scored a big hit in July with the release of "Sacred Games", a hard-boiled thriller built around Bollywood star Saif Ali Khan. "Now it is true that Youtube is free, and Amazon is basically free, and cable is extremely inexpensive because it's ad-supported. To some degree that creates a consumer expectation," he said. But he added that the cost of Netflix in India was "like going to the movie theatre 2-3 tickets a month, but you get to watch a lot more." "It's true that if you're trying to get to a billion households, that probably wouldn't work," he said. "But if you're focused on English-language, English-entertainment households, there is a much higher income."